I would like to thank Michael Patris, Christopher Nyerges, and Gary Mendes for their never-ending support, personally, and professionally with the newsletter. Thanks! The Winter issue should be ready in late January, putting the schedule only a month behind. By Spring we should be caught up. 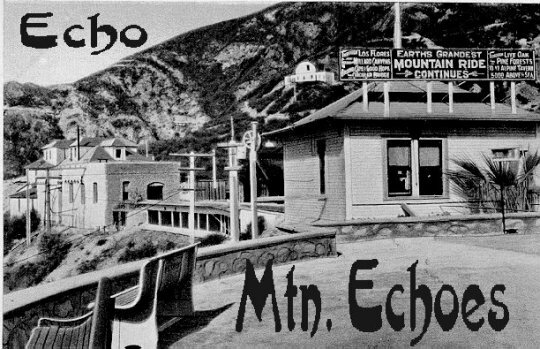 This issue will touch on the fires up on the mountain, including the Echo Mountain House fire of February 1900. This year is 100 years since its demise. Anyone having information on any of the fires on Mt. Lowe please contact me. I hope your holidays are bright.